In essence, betting and gambling amount to the same thing. You attempt to predict a result, place a wager on it, wait for the outcome and you either win or lose. Its a simple formula that has existed since time began. There is evidence that a type of state sponsored lottery was created to help fund the building of the Great Wall of China in 206 BC, and dice, one of the oldest games of chance, was being played in the shadow of the Egyptian pyramids in 3000 BC. But were the players betting or gambling? When you visit an online casino, how do you know which way you’re playing? Betting is defined as a contract between one party and another at a fixed price. For instance, bookmakers provide a list of odds for all the horses in a race so that punters know precisely what they are letting themselves in for if they should win or lose. To gamble is to take a risk, relying on random chance for the outcome. 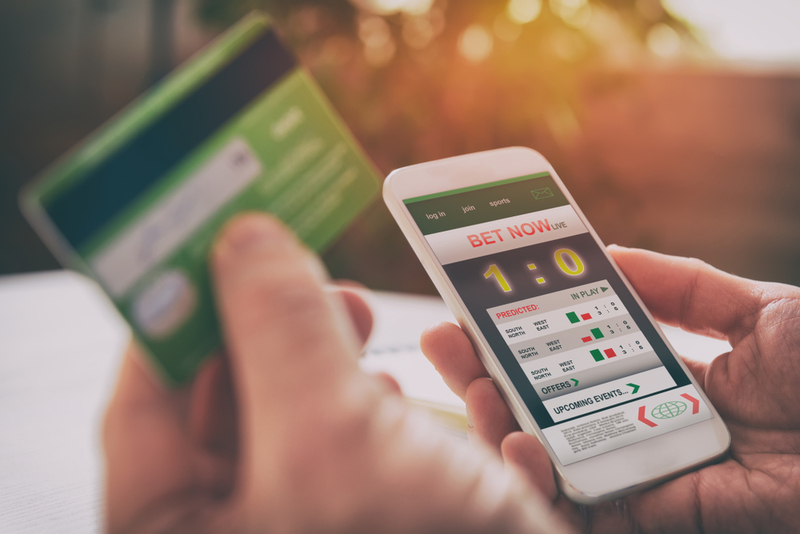 Gambling online is not too dissimilar, but is regarded as a more extreme form of betting, implying that in the absence of any guideline, the risks are far greater. Whether betting or gambling, the outcome beforehand is definitely unknown. Both are risks, relying on luck and probability to determine the result. However, betting involves a certain degree of control. For instance, when an online poker player at a live dealer game places a bet, he/she is using various skills to try and make the best of whatever the outcome happens to be. A player will use dominant aspects of personality and implement strategies such as the check raise, to call an opponent’s bluff. The amount of money in the pot and different players’ wagers also help to influence other players’ decisions. Although essentially a gamble, such play is regarded as betting rather than gambling because it involves thought, planning and influence. Casino style games have evolved over the centuries. Baccarat is one of the oldest, dating back to the early 15th Century when it was first played in Italy. It inspired Jerome Cardan (1501-76), a Renaissance mathematician, to write a book on games of chance, using his skills to develop his theories and betting systems based on probability and even included a few tips on how to cheat. Roulette became one of the most popular games during the 18th Century followed by Blackjack and Poker. Playing in an online casino has increased the popularity of casino games several times over because they are entertaining, offer the chance to win money and are accessible at any time. But most importantly, those who implement skills and strategies are usually more successful at betting. So far, we have established that betting requires thought, strategy and a certain amount of research, whereas gambling implies a lack of awareness over how to take advantage of chance. For example, in horse racing, people study form and conditions to help them make a calculated guess on the result and online poker players rely on their knowledge of their opponents’ strengths and weaknesses in order to exploit them. Betting successfully in an online casino requires the player to use skills and judgement. Gambling implies recklessness and a lack of control, attributes that would quickly see the online poker player losing a stack of chips. The first slot machine, known as the Liberty Bell, was invented in 1895 and as online slots has become one of the most popular games. At first glance it might seem to rely only on random chance for the outcome and result in players gambling rather than betting. But determining whether the machines are set at low or high variance, which directly affects the results and the rate they pay out at, requires the player to use skill and judgement in knowing when and how to play them. The astute player can in this instance bet successfully on the outcome. To conclude, betting is a calculated wager whereas gambling is at the mercy of Fate. Both are exciting and that adrenaline rush can be extremely addictive. The poet Lord Byron (1788-1824), faced financial ruin through gambling. Only bet what you can afford to lose and BeGambleAware.